Business meetings in the Urals – Your effective steps to success! 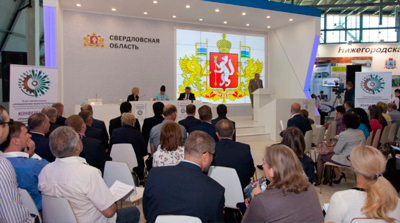 The Event program of the UTILIZATION 2018 exhibition is supported by the All-Russian congress “Regions' industrial ecology” acting as its strategic partner. This is a well-known interregional discussion platform for a direct dialogue between professional community, authorities, local industrial companies and civil society on the topics of the environmental safety and the responsible use of secondary raw materials. III All-Russian Congress“Industrial approach in the use of secondary raw resources. Organization and operation of waste processing companies”. Exhibition of environment-oriented companies and technologies. within the GRAND EXPO-URAL Week.